Zachary Levi is geared up in his Shazam! costume in the first official photo from the upcoming DC superhero film. Check it out in the gallery below (via EW). 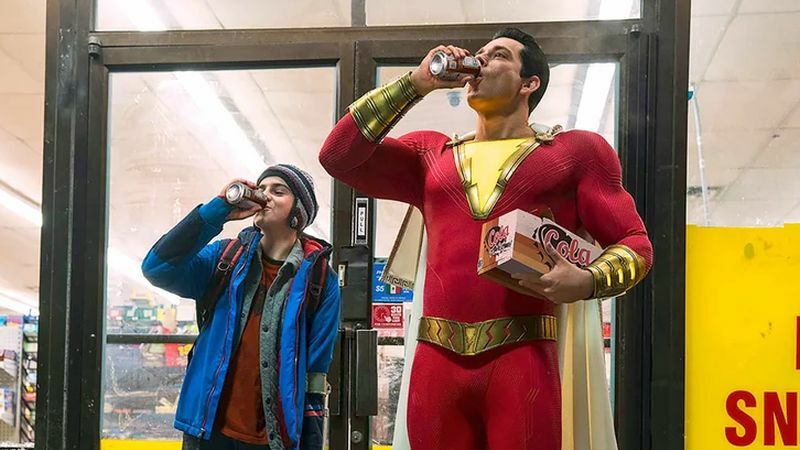 The photo reveals 14-year-old Billy Batson’s alter-ego Shazam grabbing a drink with Freddy Freeman (played by IT‘s Jack Dylan Grazer), another orphan and Billy’s best friend. 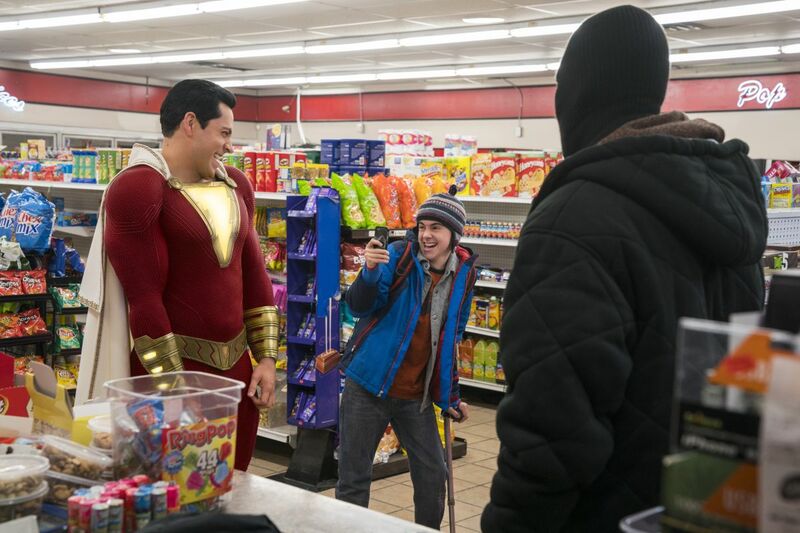 Shazam’s costume is also complete with gold gauntlets inspired by an animated feature version of the character, a glowing lightning bolt that can appear on the superhero’s chest, and a hood that Sandberg included from The New 52, the 2011 revamp and relaunch by DC Comics.